There was a mixture of excitement and nerves as we set off to Middlesbrough, we knew this game was probably the most important of the season. The league as it stands is so tight that if we won, we were right back in the race for the Play Off's, lose however and we could potentially be dragged into the bottom half of the table and accept that this meant that our hopes of getting into the top 6 would be dashed. Middlesbrough hadn't won in their previous five games, however they were occupying a Play Off position and should they have any ambitions of staying there, they were going to have to win. Neil Warnock named an unchanged side from the team that drew against Wolves at the weekend. El-Hadji Diouf, Rodolph Austin and Michael Tonge all returned to the bench. The first half was positive in the way that we were creating chances to score and some good ones at that, however, frustratingly, we didn't manage to put any of those chances away. 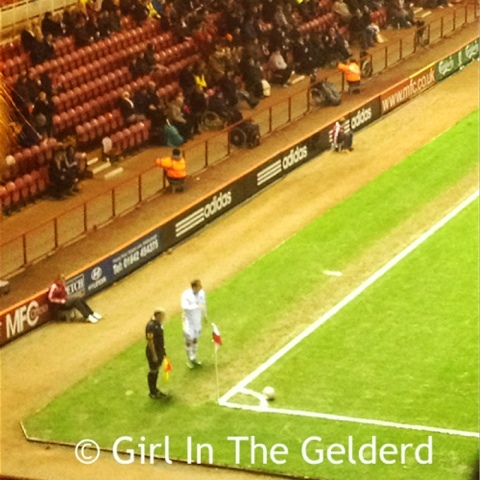 Easily the best chance of the game came in the 27th minute when Ross McCormack found himself one on one with Jonathan Woodgate as the Boro' keeper was caught off guard. With pretty much an open net, it looked for all the world McCormack would open the scoring, however, it was straight at Woodgate and he managed to make a clearance. Paddy Kenny made a fantastic save in the last minute of the first half to deny Mustapha Carayol when he found himself through on goal. Apart from a Morrison header that was cleared off the line, I thought Middlesbrough came out the better side in the second half and were strong and attacked with purpose. The way we were playing meant any optimism that any fan was feeling was slowly fading, the dreaded long ball was becoming more frequent that it had been in the first half. Middlesbrough were making changes to freshen up their game, this was something we could also have done with. Again, we had our chances to score but the problems were either that we couldn't control the ball or that we'd shot on goal rather than looking up to see who around was in a better position to shoot. Chants of 'Warnock, make a change' were being sung from the travelling faithful, Warnock responded with what was, in my eyes, a sarcastic clap, this didn't go down well and the mood soon soured. 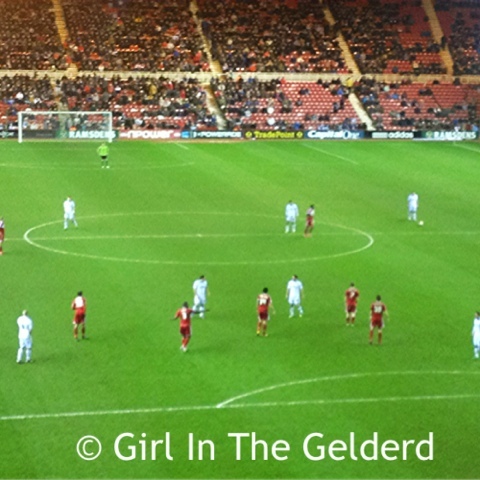 Just minutes later, Boro' managed to score, Curtis Main headed past Paddy Kenny on the 82nd minute. Then, 1 - 0 down and with 6 minutes to go, Warnock decided to look to the bench, bringing on, Diouf and Austin for Green and Norris. 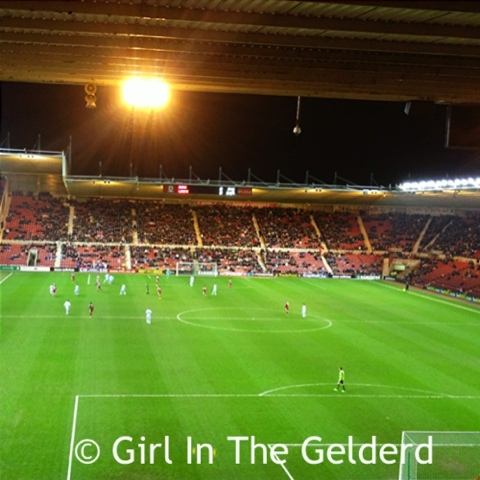 Middlesbrough's goal scorer, Main, was sent off after a second bookable offence. Warnock also utilised his subs for the last time bringing on Habib Habibou for Michael Brown. 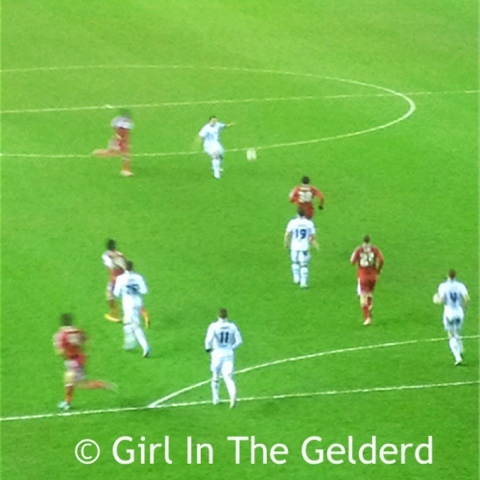 Habibou's first involvement in the game was a header on target, saved superbly by Steele. Time was not on our side however and the referee blew for full time, another loss, another less than average performance, another disappointing journey home.